In December, the Federal Trade Commission issued a series of new guidelines for native ads. The most prominent regards the perceived deceptive nature of native ads, which live in homepages and feeds often looking no different than other content. When sponsored content is indecipherable from a publishers native material, many bemoan it as the misleading of consumers. Indeed, a few influential voices were particularly critical of it last year, like John Oliver and South Park creators, Matt Stone and Trey Parker. Meanwhile, native advertising grew 34% up to $4.3 billion in 2015. While that is likely true, it is important to remember that regulations or no, misleading consumers can have serious consequences. Today, inundating people with ads can have seriously adverse affects, just ask certain daily fantasy gambling services. Consumers may not react well when they realize most of the articles they read are sponsored by big bad American corporations. Ultimately, advertisers should be aware of changing sentiments around native ads and strive to be transparent with their consumers lest they suffer the backlash, social or legal. It shouldn’t be news to anyone that smartwatches are on the come-up, especially here in San Francisco, where throngs of “early adopters” love to make you feel like your grandparent every time Apple has a new product launch. 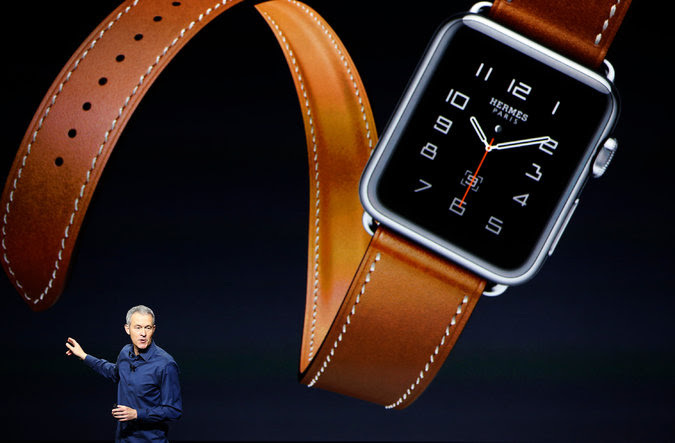 But growth projections are saying smartwatches will outsell their less intelligent counterparts by 2020, with parallels being drawn to the growth of the smartphone since Apple fist released the iPhone. Currently, 1 in 20 Americans owns a smartwatch or fitness tracker. It was a busy year for Snapchat, they added Discover, grew to 100 million monthly users sending 400 million daily, got an absurd $16 billion valuation (it has since gone down to a measly $12 billion), and added advanced rainbow vomit capabilities. 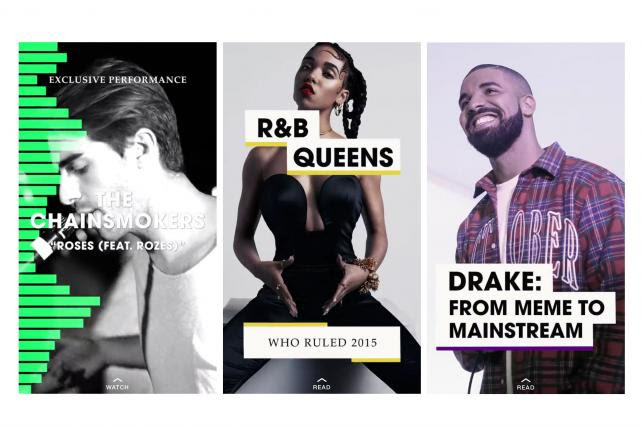 Now, the app will be creating its own content, which will be predominantly music-centric. They are partnering with Spotify and will be creating a new story about one artist or genre everyday. 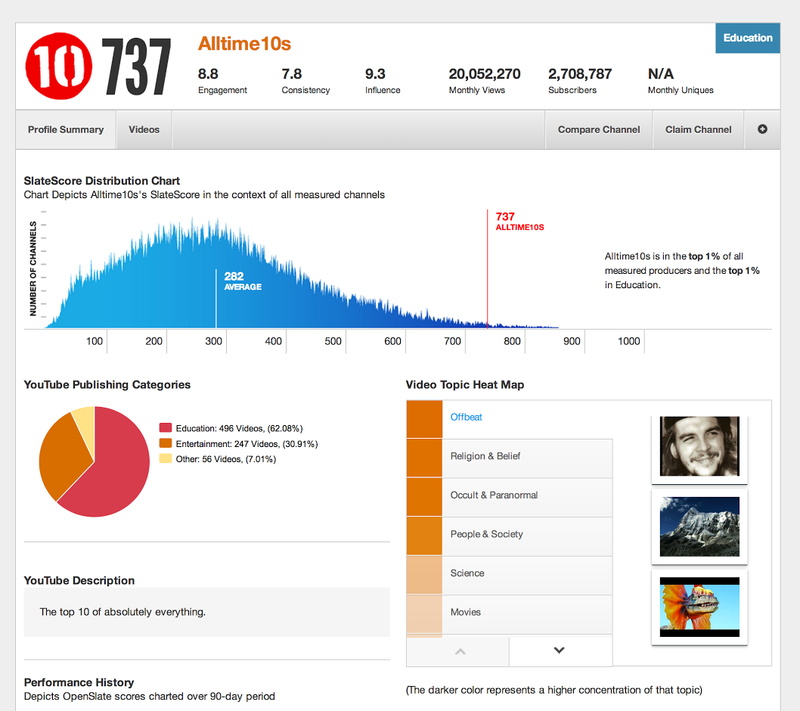 OpenSlate is the leading measurement platform for YouTube content. OpenSlate collects all available data about all ad-supported content on YouTube and organizes it in a way that makes sense to advertisers. By analyzing and scoring YouTube content on Quality, Brand Safety, Subject Matter Expertise and audience, OpenSlate is able to identify quality content at scale. Furthermore, every ad-supported channel on YouTube is given a unique “Slate Score” from 0-800 based on engagement, consistency, influence, views, and subscribers to help advertisers identify potential influencers and rising stars (see photo of an OpenSlate measured channel below). The value? OpenSlate keeps advertisers (i.e. us) from purchasing YouTube blind. OpenSlate currently ingests more than 1.2 billion metrics (every single day) about more than 120 million videos that have been published by more than 400,000 YouTube channels. The M/H media team uses OpenSlate data to purchase YouTube inventory, putting our clients’ ads in front of the highest quality videos on the ‘Tube. Right after the NYE kissing selfies comes the flood of positive resolution posts on everyone’s feed. 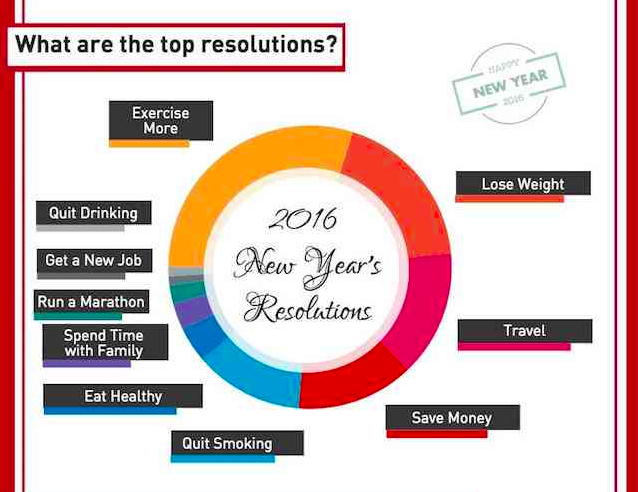 It’s no surprise that health, travel, and money were at the top of the list for resolutions posted on social media channels this year, but thanks to this compilation by Digimind via AdWeek it’s easy to see the differences around the world.